1 To Provide opportunity to and a suitable platform for artists to demonstrate the art of Dance, Drama and Music for the benefit of the common people. 2 To bring about a synthesis from the best of social and cultural life from various regions in India and to work for the development of a composite Indian culture. 3 To organize social functions and cultural festivals within and outside India for the purpose of enabling the people of various regions to have closer contacts in the sphere of their cultural and social life. 4 To convene conferences and symposiums of Dancers, Musicians, Artists and writers of India from time to time. 5 To affiliate institutions having similar objectives and to have branch organizations in different parts of the country and abroad and to coordinate their activities. 6 To give recognition to artists by way of appreciation letters, certificates and awards of merit. 7 To do all that is conducive to the cultural and social development of India, and fulfillment of the objective of the Association. 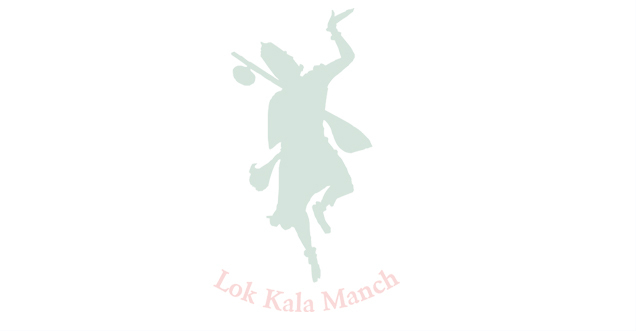 © 2010 Lok Kala Manch, All Rights Reserved.